Rescuers, The (film) The Rescue Aid Society, an international organization of mice with headquarters in the basement of the United Nations building, receives a plea for help from a little orphan girl named Penny. Penny has been kidnapped by an evil woman, Madame Medusa, who intends to use her to retrieve a fabulous diamond, the Devil’s Eye, from a pirate cave. The case is taken by lovely Bianca and Rescue Aid Society custodian Bernard, who becomes her shy assistant. Together, after avoiding two brutish alligators, enlisting the help of the local swamp folk, and turning Medusa and her henchman Snoops against themselves, they rescue Penny and the diamond. Released on June 22, 1977. Directed by Wolfgang Reitherman, John Lounsbery, Art Stevens. 76 min. Featuring the voices Eva Gabor (Bianca), Bob Newhart (Bernard), Geraldine Page (Madame Medusa), Jim Jordan (Orville), John McIntire (Rufus), James Macdonald (Evinrude), Michelle Stacy (Penny), Bernard Fox (Chairmouse), Larry Clemmons (Gramps), George Lindsey (Deadeye), Dub Taylor (Digger), John Fiedler (Deacon), and Pat Buttram (Luke), the animated film was based on two books by Margery Sharp: The Rescuers and Miss Bianca. The film was nominated for an Academy Award for “Someone’s Waiting For You,” as Best Song, written by Sammy Fain, Carol Connors, and Ayn Robbins. The other songs, by Connors and Robbins, were “The Journey,” “Rescue Aid Society,” and “Tomorrow Is Another Day.” The film was four years in the making, with the combined talents of 250 people, including 40 animators who produced approximately 330,000 drawings; there were 14 sequences with 1,039 separate scenes and 750 backgrounds. The film was re-released in theaters in 1983 and 1989. Released on video in 1992 and 1999. 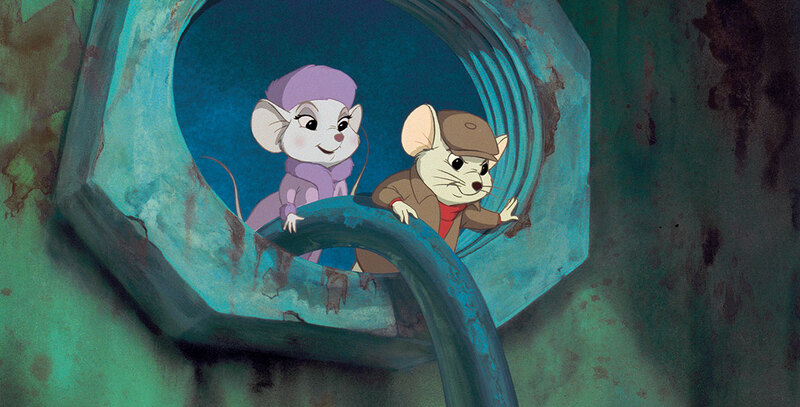 The Rescuers Down Under was the sequel, released in 1990.